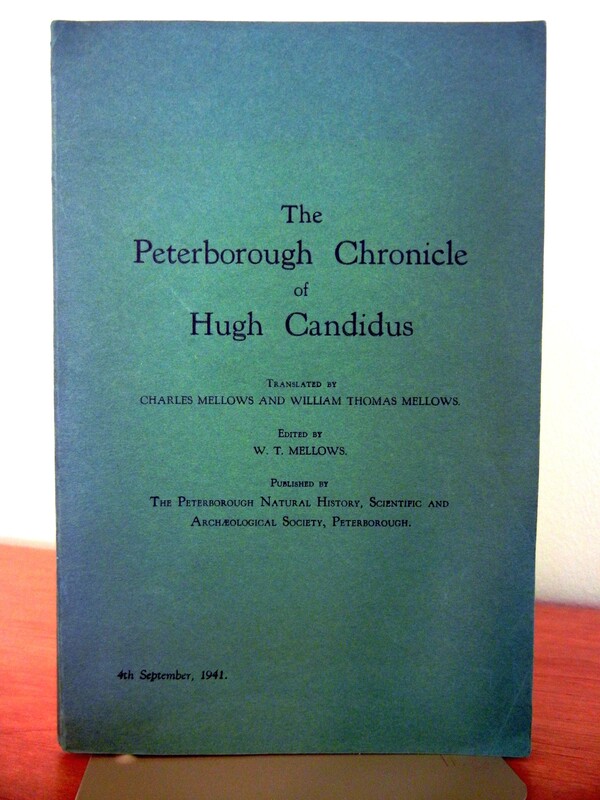 This is on my research shelf: The Peterborough Chronicle of Hugh Candidus, published in 1941 by The Peterborough Natural History, Scientific and Archaeological Society. This entry was posted in Books and tagged Abbot Aelfsy, Aethelred, Peterborough Abbey, Queen Emma. Bookmark the permalink. ← #BookadayUK 21: Summer Read!